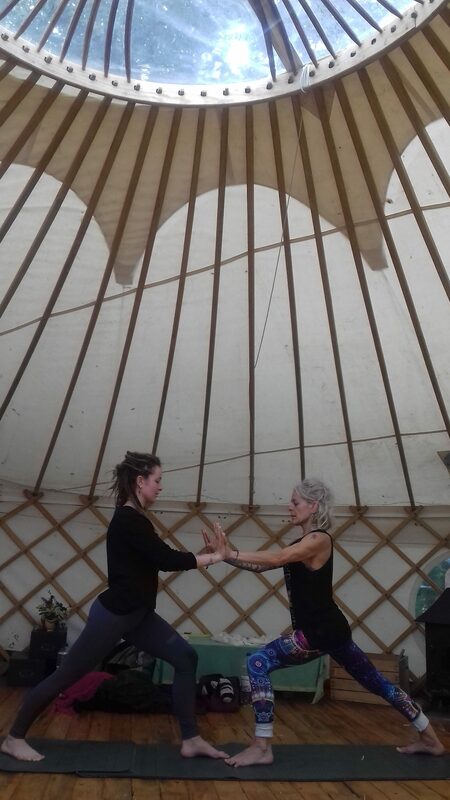 Held by the circle of the the yurt space, the opening to the sky, the closeness of the earth. I love these moments, sharing the joy of listening contact, exploring body shapes and natural tessellations. Often the eyelids close, we find our breath synchronise, and touch beyond skin to heart and spirit. When met with presence, we can drop defences and learn how to trust.